World Chess 2013: Is it Chennai 100%? As a chess fan, I am totally confused. Is the World Chess Championship 2013 Match between reigning champion Viswanathan Anand and challenger Magnus Carlsen really going to be held in Chennai this November? Should I book tickets and hotel room? 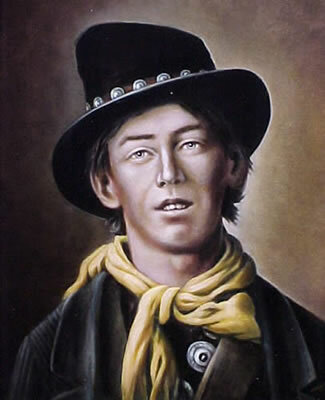 In the popular 1988 Movie 'Young Guns', actor Emilio Estevez playing 'Billy the Kid' tells his band of outlaws in response to their concern of potential hanging, that if they are caught that they will most certainly get hanged, and then utters the phrase but "There's many a slip twixt the cup and the lip". In 2012, Fide told All India Chess Federation (AICF), after the latter lost to Moscow as host for World Chess Championship 2012 (between reigning World Chess Champion Viswanathan Anand and Boris Gelfand) that AICF would get the first chance to host the World Chess Championship Match 2013, supposedly without any regular bidding procedure...! But... "There's many a slip twixt the cup and the lip". Photo: (From left) AICF secretary Bharat Singh Chauhan, Fide vice-presidents Israel Gelfer and DV Sundar. 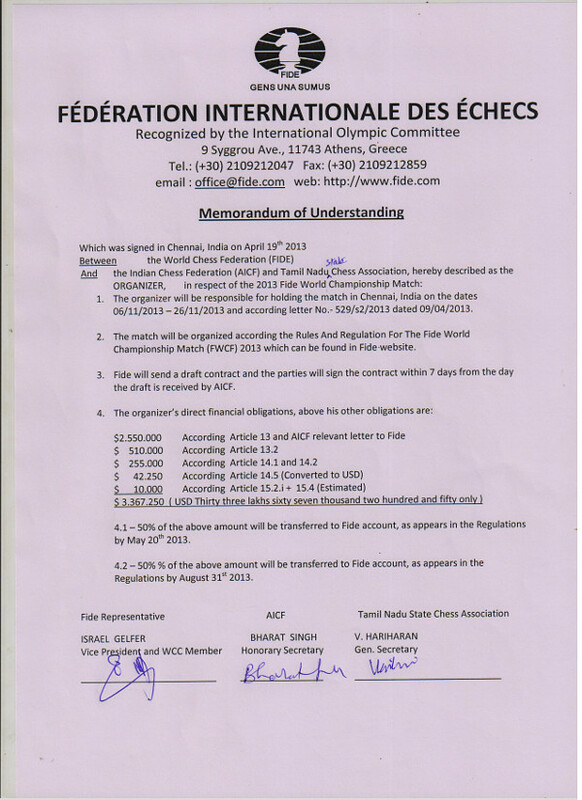 The document states that the organiser is responsible for the conduct of world championship match in Chennai from 6 to 26 November 2013. 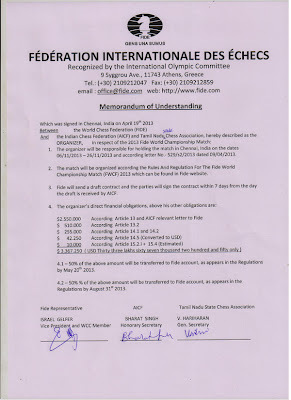 The AICF will send a working version of the contract and will sign the contract within seven days of its receipt; organiser shall provide the sum of $3,367,250 - 50% percent of which must be transferred to the Fide account by May 20 and the remaining amount by 31 August 2013. Magnus Carlsen has already called for a "neutral venue" and he has not confirmed the venue yet! But, what does all this mean? Is Chennai the venue, or is it not yet decided? Is the Indian media and chess fanbase going euphoric for something that might not be? Frankly, no one seems to know the answer. Detailed reports are posted at chess news sites like Chessbase, ChessVibes, Chessblog, Chess-News.ru and the AICF and, of course, Fide websites. But, really, what does it all mean? Is Chennai really 100% the venue? We have to wait, at least until May 20. What happens if some other bids come in for the World Chess Championship 2013? Will Fide not accept them? What exactly does this MoU mean? Is it a final declaration? If Fide does not intend to accept any other bids, then why not immediately announce that there would be no bidding procedure and indeed Chennai is the venue of the World Chess Championship 2013? Is it legal to have no bidding procedure for an event like the World Chess Championship? Chennai is in the Indian state of Tamil Nadu. It is the Tamil Nadu Government that is offering the bid amount. So, the match cannot be shifted to any other city in India. Except Chennai, parts of Delhi and Kolkatta, the rest of India is at present watching cricket - the IPL T-20. They might not find other sponsors in India. There is no direct word via Fide about Challenger Magnus Carlsen's acceptance of the venue and match conditions. 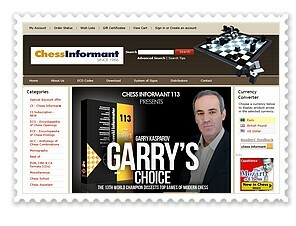 The most detailed analysis is at Chessvibes which goes: "It could also mean that FIDE is keeping its options open. In general a Memorandum of Understanding (MoU) expresses a convergence of will between two parties, indicating an intended common line of action. A MoU is often used in cases where parties either do not imply a legal commitment or in situations where the parties cannot create a legally enforceable agreement.It's well possible that the match will eventually be held somewhere else. 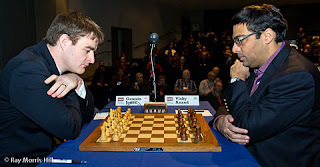 At the moment all parties involved have reasons to be not too happy about Chennai: Anand because there might be too much home crowd pressure, Carlsen because the different climate might involve risks, AGON because a different city might be more interesting for sponsors and FIDE because a higher bid also means a higher income for them." 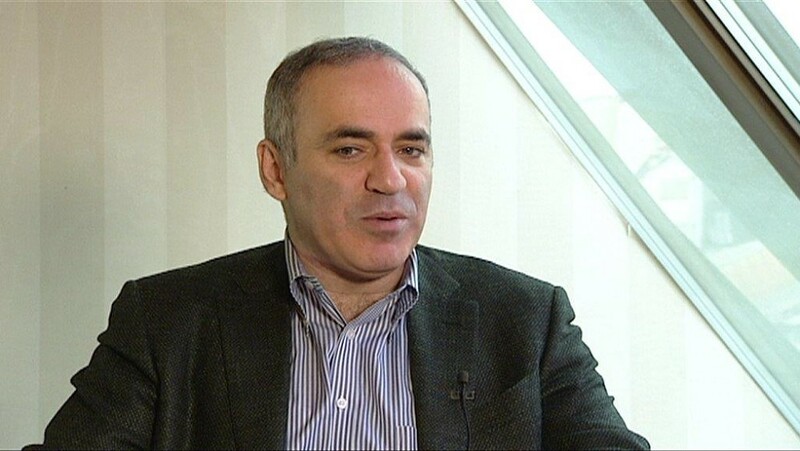 Legendary 13th World Chess Champion Garry Kasparov has reacted strongly: It is a scandal. I've never heard of anything like this. I really hope that this is not the final decision, because it would be illegal. To Chennai, or not to Chennai is the Big Question. "In principle, I think it (World Chess Championship 2013) should be held on neutral ground. It has been the tradition in the past, and that is what seems most fair to me," says World No. 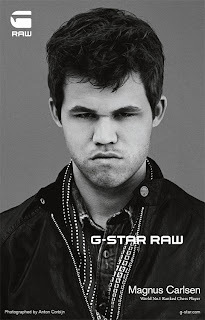 1 Magnus Carlsen. He was speaking to Norwegian website NRK. The Indian media has announced that the match will be held in Chennai this November. However, no formal confirmation has come in from the World Chess Federation (Fide). There is usually an open bidding for the match. Magnus Carlsen's manager Espen Agdestein, said, "It is strange that this time they should skip the bidding process. There is great interest in this game and now they have the opportunity to really get very exciting organizer cities. I find a deal under the table strange and silly." He also told NRK, "This is not a neutral ground, and in addition it will be abnormal for Magnus to play in India, including different climate and food." Carlsen is still unsure of how much the choice of location will influence the outcome of the match. "I can not say anything until I have seen the playing conditions," he said. Joran Aulin-Jansson, chess president of the Norwegian Chess Federation is also not thrilled by the news. He said the association stood by Carlsen's decision to play at a neutral venue. But, he said, if Fide approves Chennai, there is not much that can be done. Meanwhile, we are yet to hear from Agon which is contracted to hold the complete World Chess Championship cycle. Magnus Carlsen won the FIDE Candidates' Tournament in London on Monday after a bizarre finish of what has become a historic event for chess. Both the Norwegian and the other leader, Vladimir Kramnik of Russia, unexpectedly lost their game in the final round, and so they remained tied for first place and Carlsen won on the second tie-break rule: higher number of wins. 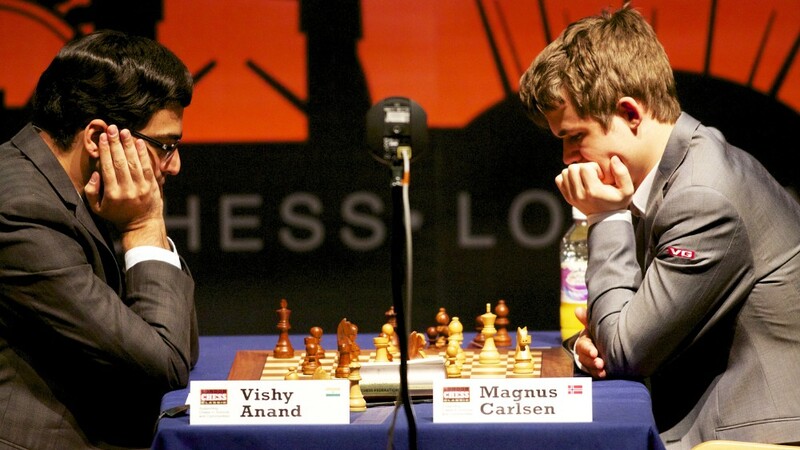 This means that in the next title match, World Champion Viswanathan Anand will face Carlsen. On the last day Levon Aronian of Armenia beat Teimour Radjabov of Azerbaijan while Boris Gelfand of Israel and Alexander Grischuk of Russia drew their game. A Hollywood blockbuster couldn’t have had a more dramatic scenario with the hero of the story going down just before the end, only to emerge as the winner after all. This is what happened in rounds 12-13 with Carlsen losing his lead to Kramnik on Friday and then recovering on Sunday, and it also happened in a thrilling final round. The Norwegian unexpectedly lost his white game against Peter Svidler, but because Vladimir Kramnik also went down against Vassily Ivanchuk, Carlsen won the tournament anyway. It was quite a fitting scenario for April 1st, except that this is what really happened! Then, the game between Levon Aronian and Teimour Radjabov finished in favour of the Armenian. “In general after the opening I got a big advantage and it was very difficult to play for Black,” said Aronian. Radjabov, who finally went for a proper King’s Indian – the defence with which he has had so many successes – managed to trap the white queen in the early middle game, but Aronian got two rooks for it and combined with the presence of opposite coloured bishops, his attack on the king was just too strong. But, of course this last round was all about the other two games: Vassily Ivanchuk versus Vladimir Kramnik and Magnus Carlsen versus Peter Svidler. Because Carlsen was leading on tie-break, Kramnik basically had to outperform him in the final round to emerge as the winner: he needed a win if Carlsen drew, or a draw if Carlsen lost. It all went quite differently. Kramnik, playing black, got under serious pressure right out of the opening, while Carlsen didn’t get much of an opening advantage playing white. 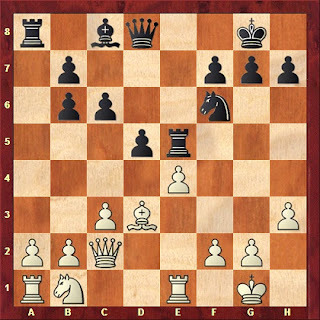 To keep all options open, Kramnik played the Pirc Defence, and Ivanchuk responded with simple, healthy developing moves. However, the Ukrainian (again!) needed quite some time to make his moves in this game, so even though he was building up an advantage, the Carlsen fans weren’t sure at all about the situation. Would Ivanchuk lose on time again...? 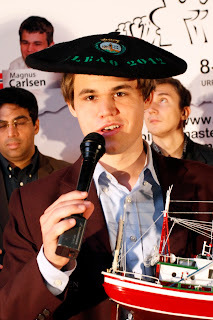 Meanwhile, Carlsen himself was using lots of time himself – too much time. After making his 27th move, the Norwegian had only 5 minutes left for 13 moves, and 2 moves later his clock was down to 1 minute and 20 seconds. It was a situation Carlsen hadn’t been in before in all previous rounds! It must have been around this time that the home page of Norway’s biggest newspaper online, vg.no, crashed (like several chess servers) due too the high number of visitors trying to follow the games. Carlsen only barely made the time control – he made his last three moves in about nine seconds, knocking over some pieces in the process and losing precious seconds there. After the dust had cleared, he found himself in a completely lost ending. Svidler had simply played an excellent game, while Carlsen had succumbed under the pressure and the tension. “I was trying to equalize and then Magnus perhaps overestimated his position,” said Svidler. “I was spending too much time in the middle game on reasonably good moves but also on not too difficult moves. (…) I definitely overestimated my position. Additionally, I just couldn't calculate very well today and then you have to spend a lot of time, that’s the way it is. 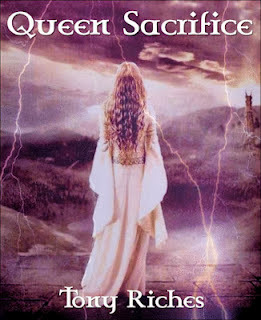 Obviously not as much time as I did, because it became a serious liability at the end, but it's not easy. From early on there were lots of things to calculate on every move,” said Carlsen at the press conference, while Ivanchuk and Kramnik were still playing. Before leaving the press room, Carlsen asked whether he could get the position of that last game on the laptop that was available. By that time Ivanchuk had made the time control, and he had a winning position. Carlsen said: “I think this cannot possibly go wrong,” and right at that moment Kramnik resigned his game, and with it his fight for first place. Carlsen was congratulated by his manager and by Svidler, and immediately gave a few interviews to mostly Norwegian press. Meanwhile, Ivanchuk and Kramnik arrived in the press room to comment on their game. “I had to play for a win, to burn bridges in a way, because of course I didn't think that Magnus was going to lose. I thought I got what I wanted at some point. It was an interesting position but terribly complicated. Somewhere around 20…Nhf4 I liked my position and then somehow I lost a bit of concentration because I didn’t know what to do,” said Kramnik, who also kept an eye on the other game. The final standings are as follows: 1. Carlsen 8.5 points (5 wins), 2. 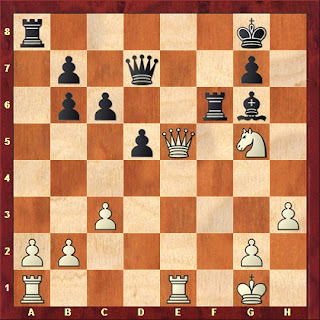 Kramnik 8.5 points (4 wins), 3-4. Svidler and Aronian 8 points, 5-6. Grischuk and Gelfand 6.5 points, 7. Ivanchuk 6 points and 8.Radjabov 4 points. 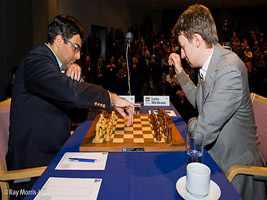 The FIDE Candidates' Tournament took place March 14th-April 1st, 2013 at IET London, Savoy Place. It was sponsored by the State Oil Company of Azerbaijan Republic (SOCAR) and organized by AGON and the World Chess Federation (FIDE). World Chess Champion Viswanathan Anand has won his first classical tournament in almost five years after an enthralling final day’s play in Baden-Baden. 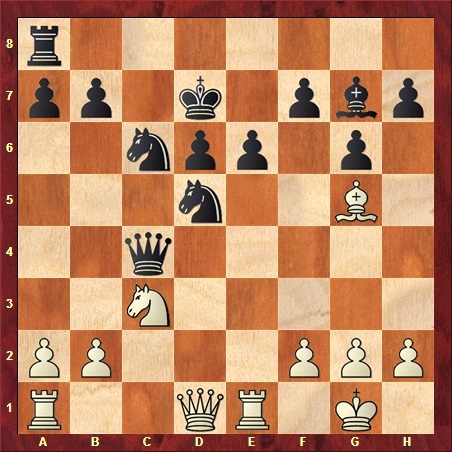 It started fast with Anand and Naiditsch blitzing out a rook ending that might have been drawn but ended in the German’s resignation on move 49. That left Caruana needing to beat Fridman to force a play-off, but he missed a gilt-edged chance in what fittingly became the longest game of the tournament. Anand: “16...Nd5 is a pretty ugly move to make, but I simply didn’t want to keep calculating with the queens on the board”. After exchanging with 17.Nxd5 Qxd5 18.Qxd5 exd5 19.Rad1 h6 20.Bc1 d4 Black had doubled pawns, but they control the position, with the d4-pawn taking the c3- and e3-squares away from the white rooks and preventing the bishop dropping back to e3. 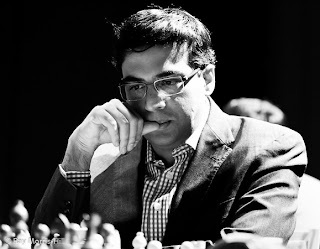 Vishy thought his position was very good, but heaped condemnation on his later 24…a5? !, calling it a “terrible”, “horrible”, “embarrassing” and even “insane” move. When Baden-Baden hosted arguably the world’s first super-tournament back in 1870 it began in mid-July. 143 years later February snow was falling on the German spa town as tournament director Sven Noppes welcomed the players onto the stage. 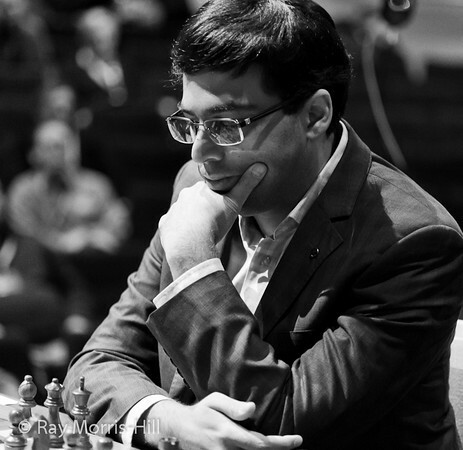 Things soon warmed up, however – Adams and Anand threw caution to the wind, Naiditsch and Fridman engaged in a fierce struggle, but it was Caruana who claimed the day’s only win. The Italian trapped Georg Meier’s king in the centre before ruthlessly applying the finishing touches. Adams explained his first thought was, “16.Nd2 is a draw, but such is life – move on”. He’d dismissed 16.f4, but then thought, “Black has so many options that one of them must be good, but which one? Let’s see what happens!” Suddenly Vishy was also faced with a dilemma – all kinds of exchange sacs on e4 are possible and the rook can also simply retreat to e8, but the World Champion claimed his decision was also impulsive: “For some reason I started to like the idea of 16…Rh5, so I decided it was worth a punt”. The rest of the game was perhaps best summed up by Adams: “I was very suspicious of Rh5 – I was completely unable to refute it in any way, but it looked a very funny move.” After 17.e5 Nd7 18.Qe2 Rh4 19.e6 things looked dicey for Anand, but19…Nc5! showed he had the situation under control, even if he still felt Black needed to be very accurate in the play that followed. World champion Viswanathan Anand suffered a shocking last-round defeat against Wang Hao of China and had to be content with a joint third finish at the 75th Tata Steel Chess tournament in Wijk Aan Zee, The Netherlands. Having done decently so far, Anand ran out of steam in the last round and was outplayed by Wang Hao. Anand remained at sixth spot in the world rankings and stands to gain seven rating points from his efforts. 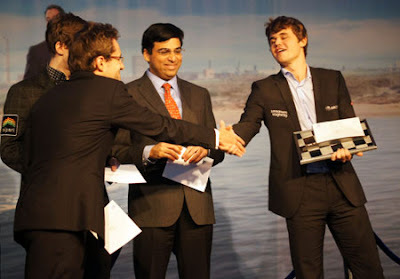 Magnus Carlsen of Norway completed the formalities of winning the crown after surviving a scare against Anish Giri of Holland. Carlsen was pushed to the wall but salvaged a half point to match Garry Kasparov's best ever 10 points out of a possible 13 in this tournament. Levon Aronian of Armenia ended second on 8.5 points after a draw with out-of-sort Fabiano Caruana of Italy. Anand with eight points in all tied for the third spot with the other winner of the day -- Sergey Karjakin of Russia. After a spate of draws in the last round, Peter Leko of Hungary finished fifth on 7.5 points, half a point more than Hikaru Nakamura of United States who played out a draw with P Harikrishna in his final round game. World Chess Champion Viswanathan Anand finished his campaign with a draw against Magnus Carlsen of Norway in the ninth and final round of London Chess Classic here on Tuesday. Anand ended the tournament on nine points and had to content with a fifth place finish among nine contenders as Carlsen emerged as the clear winner on 18 points under the soccer-like scoring system in place here. Vladimir Kramnik of Russia finished second after an easy draw as black against Michael Adams, who ended joint third. 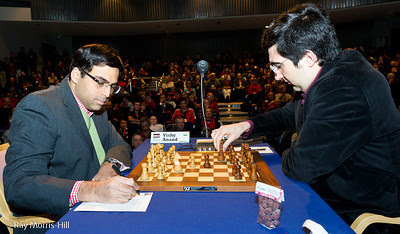 Kramnik scored 16 points in all, while Adams ended on 13 points along side Hikaru Nakamura of the United States. Nakamura was involved in the lone decisive game of the day. The American accounted for Brit Luke McShane. LONDON: World champion Viswanathan Anand played out an exciting draw with Hikaru Nakamura of the United States in the eighth and penultimate round of the London Chess Classic, on Monday. After a steady draw with Judit Polgar of Hungary in the previous round, it was a nerve-wracking game in which fortunes fluctuated many a times and the draw was probably a good result from a sporting point of view as both Anand and Nakamura missed many opportunities. On a day when tournament leader Magnus Carlsen of Norway had a bye, Russian Vladimir Kramnik capitalised on his opportunities and crushed Gawain Jones of England. In other games, English Michael Adams of England could not use his extra pawn to full use and split the point with Levon Aronian of Armenia, while Polgar scored her first victory at the expense of Luke McShane of England. 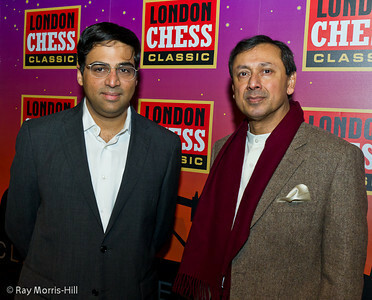 LONDON: World champion Viswanathan Anandplayed out a draw with Judit Polgar of Hungary to go out of contention in the London Chess Classic, now in progress. Having lost a game through a blunder in the previous round, Anand was apparently satisfied with the result as Polgar also played it safe after showing early aggression. For the first time in the tournament, all the four games were drawn leaving Norwegian Magnus Carlsen with a huge five points lead over Russian Vladimir Kramnik. Carlsen drew with American Hikaru Nakamura after an exciting game to take his tally to 17 points in the soccer-like scoring system in place here. The world number one has just one game left, against Anand, and in all likelihood, he is going to emerge as the winner. World Champion Viswanathan Anand fell prey to an inexplicable blunder in a perfectly balanced position and went down to Michael Adams of England in the sixth round of London Chess Classic at the Olympia in London. After a fine victory in the previous round against Gawain Jones of England, the Indian ace survived some anxious moments in the middle game before equalising completely and just when the experts had given up declaring the game a 'sure-draw', Anand lost track, and lost in no time. Magnus Carlsen of Norway stretched his lead to three points by defeating highest ranked woman Judit Polgar of Hungary. Under the soccer-like scoring system, Carlsen took his tally to a whopping 16 points out of a possible eighteen, and the world number one is sitting pretty with just two games to come for him. World champion Viswanathan Anand ended the winless draught by defeating Grandmaster Gawain Jones of England in the fifth round of London Chess Classic. Under pressure to score a victory, Anand outclassed Jones and finally recorded a win after 17 Classical Chess games. Magnus Carlsen of Norway continued with his top form to beat Michael Adams of England. Vladimir Kramnik accounted for Luke Mcshane to complete the English rout in the fifth round while American Hikaru Nakamura coasted to a win against the world’s best woman player Judit Polgar of Hungary. The victory took Carlsen to an astonishing thirteen points from four games in the soccer-like scoring system in place here. Kramnik remains on the toes of the leader with eleven points in his kitty and the rest of the field is now far behind. Earlier, on Tuesday, another draw statistically meant that Anand hasn't won for 17 classical games in a row, including four matches in the last World Championship, the Final Masters tournament where he finished winless and three games in the Classic here. World Champion Viswanathan Anand and Dr J Bhagwati, High Commissioner of India to the United Kingdom. More great photos by talented photographer Ray Morris-Hill at his website. World Champion Viswanathan Anand failed to capitalise on chances that came his way and played out a draw with tail-ender Levon Aronian of Armenia in the third round of the London Chess Classic on Tuesday. Hunting for his first victory in a Classical Chess game since the last World Championship in May earlier this year, Anand got a better position with an extra pawn against Aronian but his opponent fought valiantly to split the points in the end. World number one Magnus Carlsen of Norway played out a draw with co-leader Vladimir Kramnik of Russia while Michael Adams coasted to his second victory in as many games at the expense of top woman player Judit Polgar of Hungary. 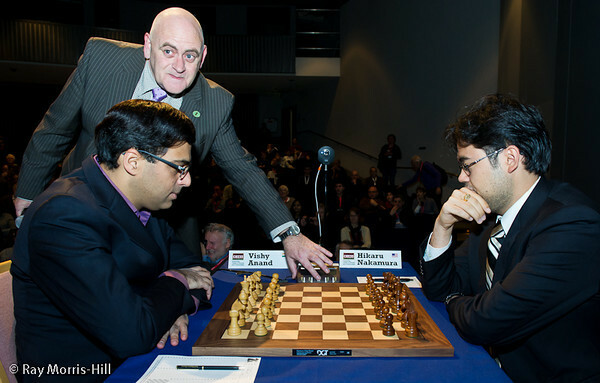 In the other game of the day, debutant Englishman Gawain Jones shared the point with Hikaru Nakamura of United States. World champion Viswanathan Anand survived anxious moments before he salvaged a draw against Luke McShane of England in the second round of the London Chess Classic on Sunday. Having started with a bye, Anand had the advantage of playing white in the opener but the Indian ace could not find any real advantage and finally survived by the skin of the teeth to open his account. World number one, Norwegian Magnus Carlsen registered himself as the highest-rated player ever in the history defeating second seed Levon Aronian of Armenia in a finely-crafted game. Former World Champion Vladimir Kramnik of Russia made sure that Carlsen did not get a runaway lead in just two rounds and ground down Hikaru Nakamura of United States in a long drawn queen and pawns endgame. The other game between Judit Polgar of Hungary and Gawain Jones of England ended in an exciting draw. World number one Magnus Carlsen of Norway cracked all-time high ratings, defeating Luke McShane of England in the first round of the London Chess Classic at the Olympia here. 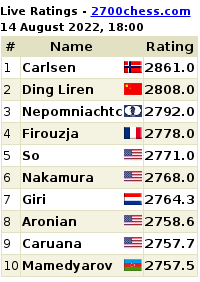 The rating for Carlsen stood at 2851.2 points in the unofficial live rating portals which means that the Norwegian has cracked the all-time high rating record of 2851 held by former world champion and his former trainer Gary Kasparov of Russia. On what turned out to be a perfect opener, all the four games in the nine-players round robin tournament ended decisively and the biggest upset was recorded by Hikaru Nakamura of United States who defeated World number two Levon Aronian with black pieces. With Nakamura calling the shots, Vladimir Kramnik turned out to be another winner of the day at the expense of world's top woman player Judit Polgar of Hungary. The all-decisive-games record was kept intact by a late-benefitting Michael Adams of England against compatriot Gawain Jones. 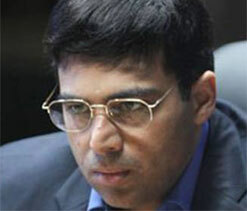 World champion Vishwanathan Anand had a rest day in the opener as he drew number one in the official drawing of lots. The world No. 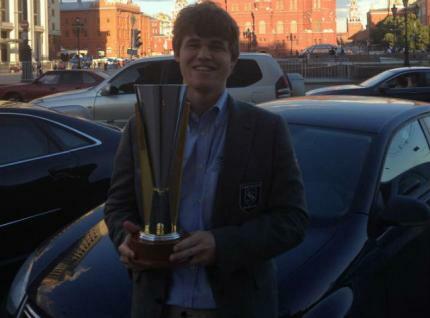 1 Magnus Carlsen has won tonight in Sao-Paulo Bilbao Chess Masters Final on Saturday night. The first section was played in the last week of September in the Brazilian city of Sao Paulo. The Norwegian Grandmaster's victory comes after a thrilling tiebreak played against Italian Grandmaster Fabiano Caruana. The direct duel between the top two players after 10 rounds was scheduled after both Carlsen and Caruana drew their games with Levon Aronian and Francisco Vallejo respectively. Carlsen went into the tiebreaks as a clear favourite. Carlsen confirmed his superiority in the Alhondiga Bilbao by winning both the games of the tiebreak. • Fabiano Caruana: 17 points. • Levon Aronian: 11 points. • Viswanathan Anand: 9 points. • Francisco Vallejo: 6 points. 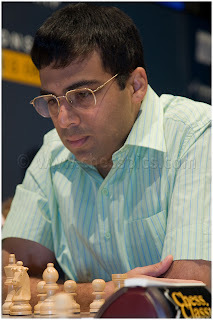 World Champion Viswanathan Anand will play a match against the World via Chess.com's "Vote Chess" platform on August 13, 2012 at 10:30 AM PST. Chess.com LLC and Metropolitan Chess, Inc have partnered up to make this amazing event possible, according to a press release. Anand will be the head instructor at the Metro Chess Invitational Chess Camp from August 9th through 13th in Los Angeles. He will conclude his activities by playing a Simultaneous Exhibition the morning of August 13th against a small group of lucky individuals. One of the boards in the Simul will belong to the Chess.com Community as they vote in their suggested move for a relayer to play on the actual board for Anand as he moves from board to board during the Simul. Chennai: World chess champion Viswanathan Anand has asked the All India Chess Federation to extend the official status for `Blind Chess` at district, state and national levels. The five-time world champion said: "The fact is that the normal as well as the blind players faced the same kind of situations while playing and trying to improve. It was good to see that chess for the blind was being encouraged but it was high time it is included as one of the categories of regular competitions."